« 12th Annual Egg Hunt is Best Yet! Green Connections Walk at Heron’s Head Park, Saturday, March 10th — FREE!! Join us for the first Green Connections walk at Heron’s Head Park in the India Basin Neighborhood, San Francisco! Spot everything from birds of the bay and shore to coast live oaks on Cargo Way. 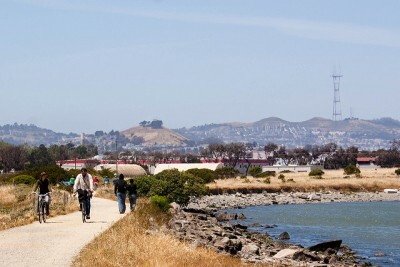 Heron’s Head Park is one of SF’s premier open spaces, so get ready to see black rail, jackrabbit, gopher snake, savannah sparrow, and rare and specialized salt marsh plants. Green Connections will increase pedestrian and bicycle access to parks, open space and the waterfront, by re-envisioning City streets and paths as ‘green connectors’that can be built over time.In the first year of the project, the focus will be to map a citywide network. The second year will build on this framework to design green connections in the following six neighborhoods: Bayview-Hunters Point, Chinatown, Potrero Hill, Tenderloin, Visitacion Valley and Western Addition. Get involved! Visit the project web site below for project information and upcoming events. Also, follow Green Connections on Facebook and take our survey!!! Copyright © 2012 San Francisco Planning Department, All rights reserved.